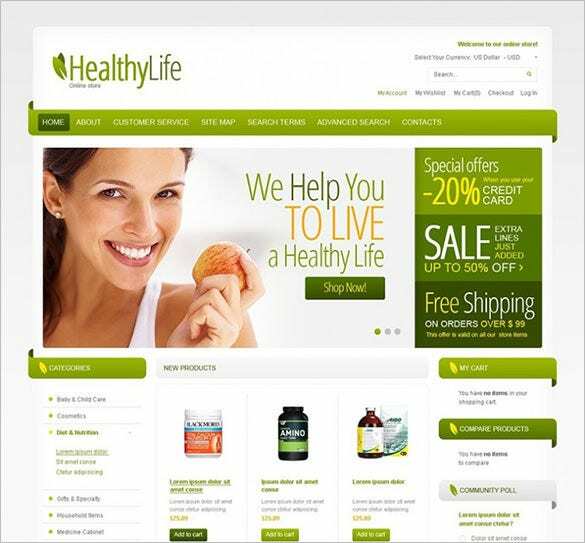 If you know how to install Best Magento theme, you can transform your boring looking fitness center, medical clinic, or even a pharmacy shop website into an inviting display of artifacts associated with health and fitness. 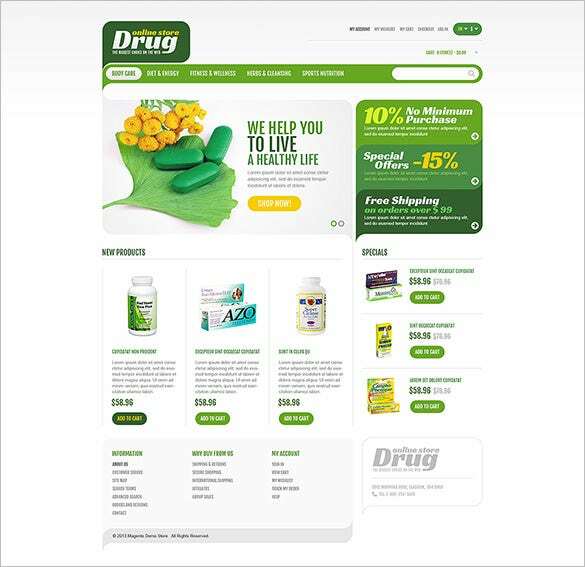 Multiple design variations, dozens of color schemes, fully responsive and cross browser compatible design, dynamic layout, AJAX based paging, sorting, price sliders, navigation, and toolbars, and ecommerce relevant features like featured products, discounted products, special schemes, upselling and cross selling – all blend together to make new age Magento ecommerce themes for health websites so successful. 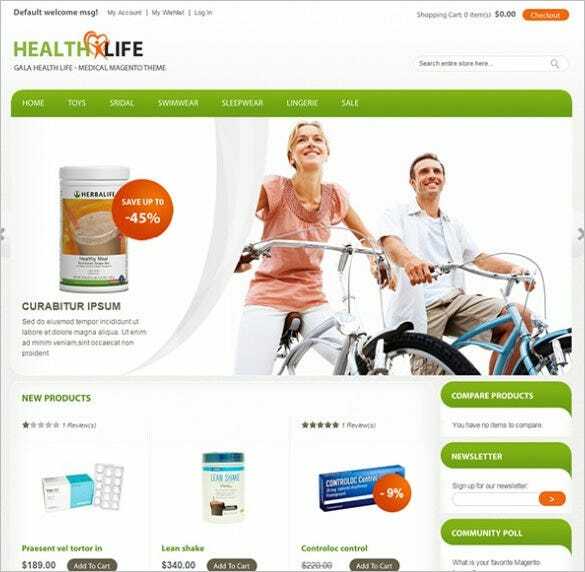 You can also see Health Joomla Themes. 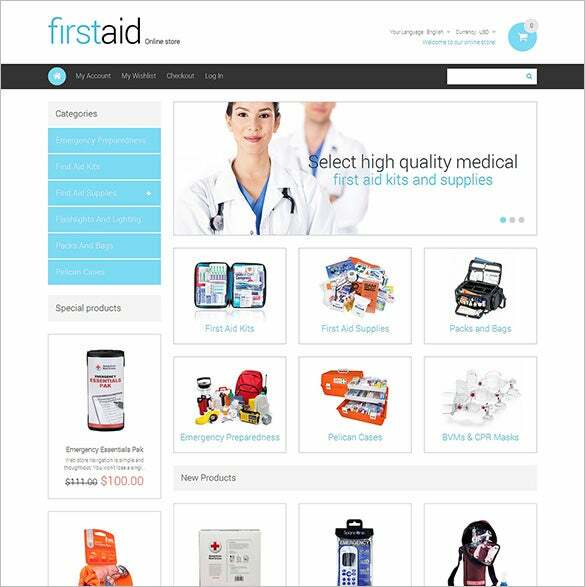 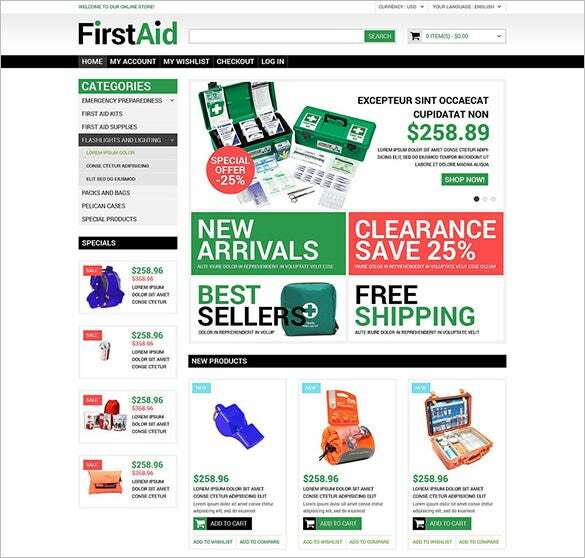 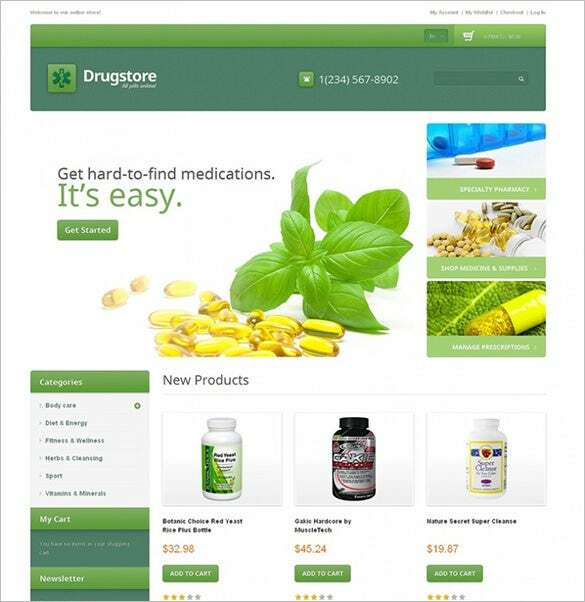 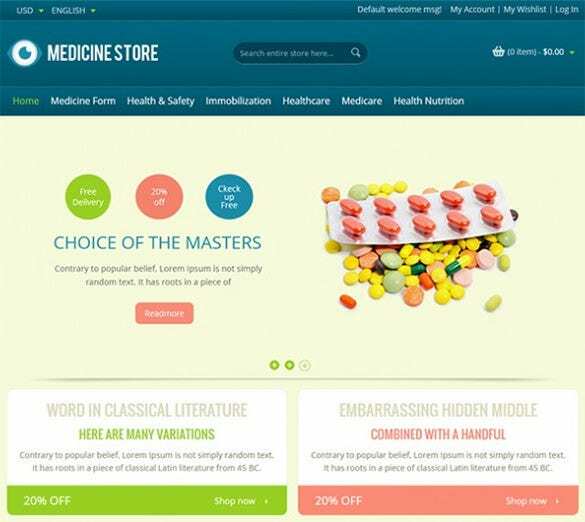 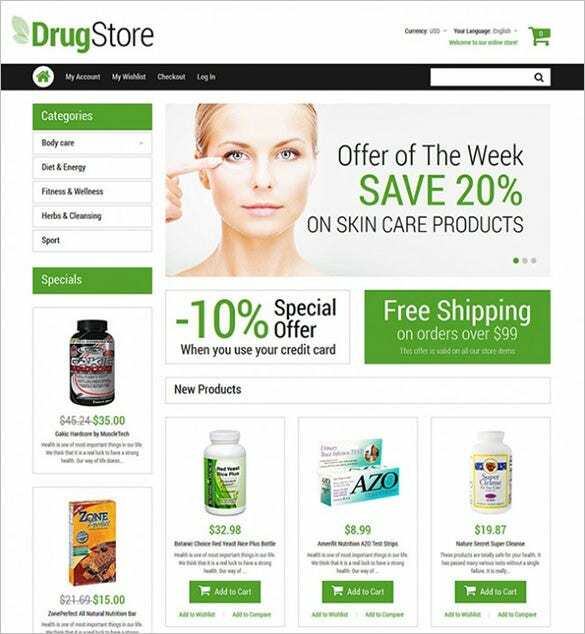 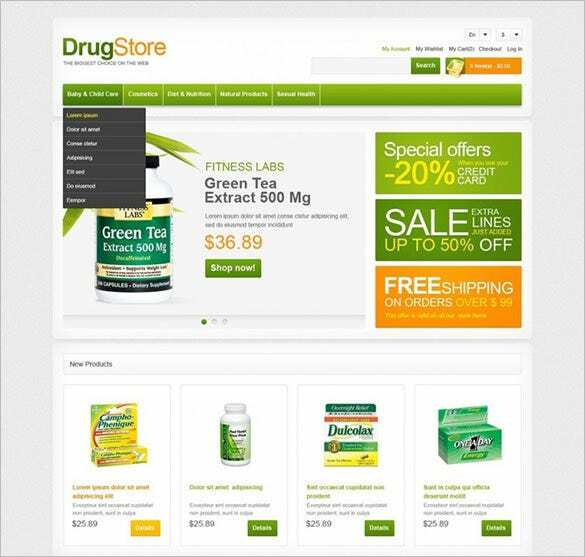 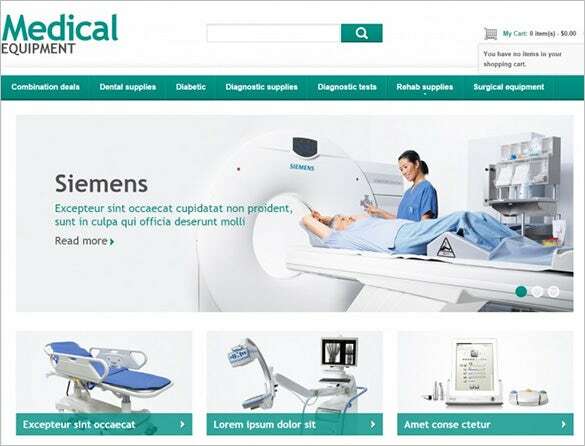 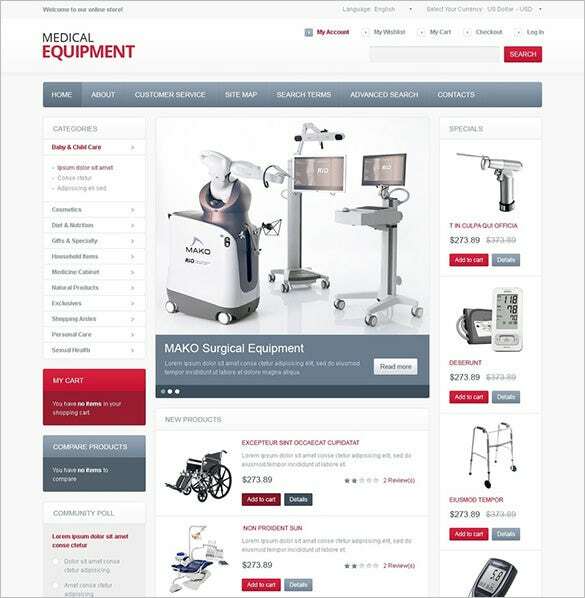 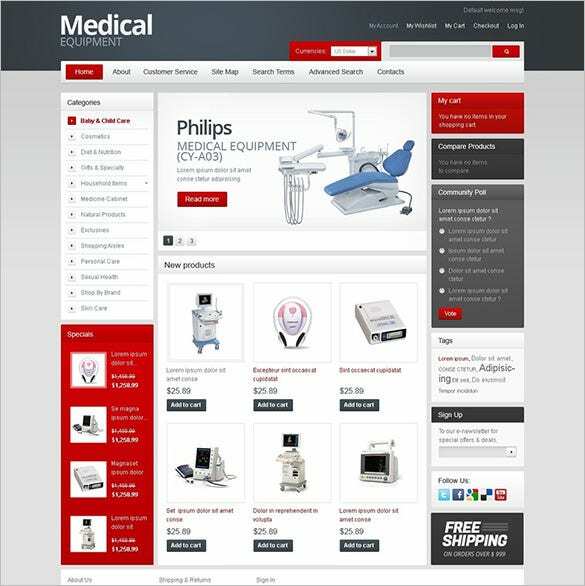 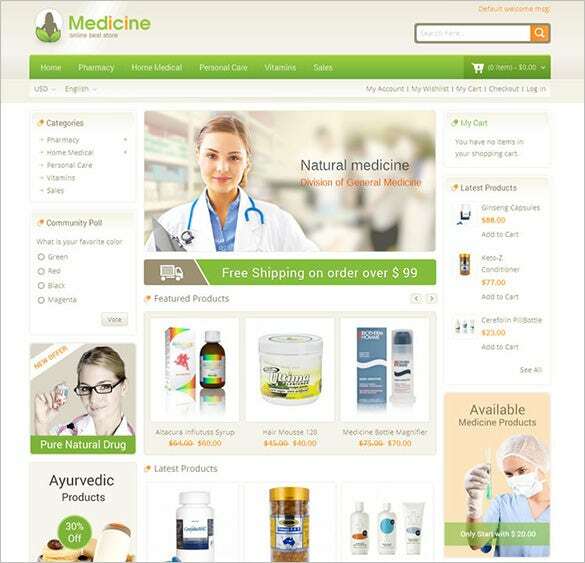 Medical Stuff Store Magento Theme is 100% responsive and is suitable best for online medical and gadgets stores. 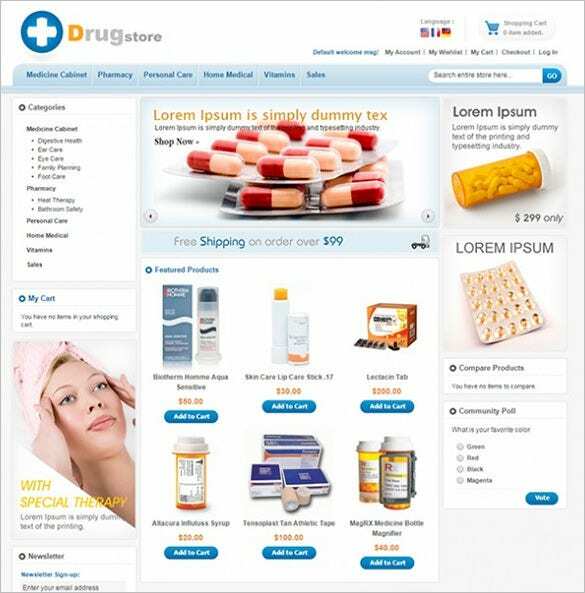 Side Navigation, Quick View Option, and 24*7 support team are the other benefits of the template. 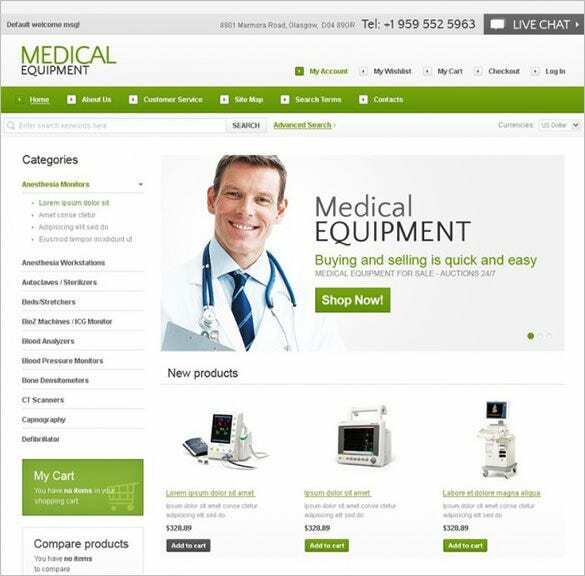 Configure the calendar and scheduler to offer appointment scheduling for your patients and members, and blend in payment gateway integration to transform your health website into a revenue channel for yourself. 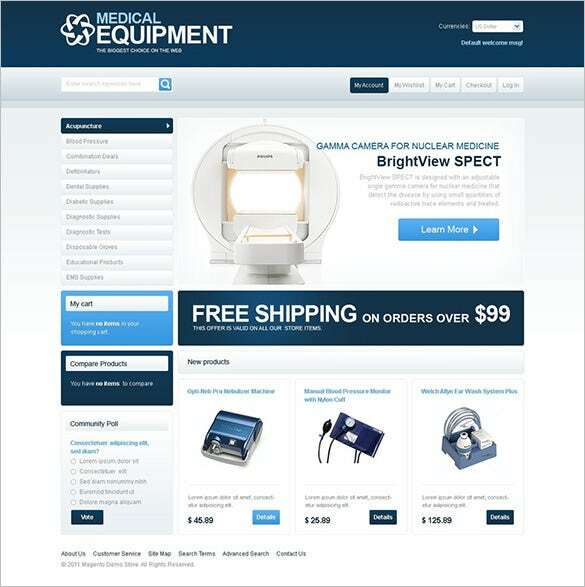 Adding retina ready HD images on the landing page is as simple as 1-2-3, you just need to set the image gallery up to constantly feed the slideshow tool. 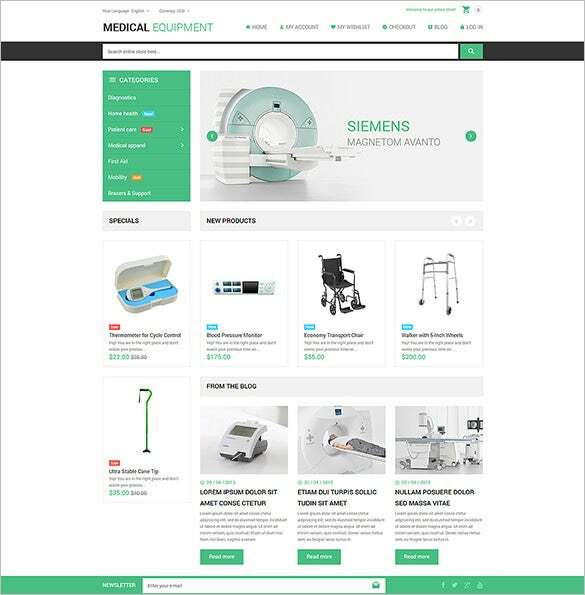 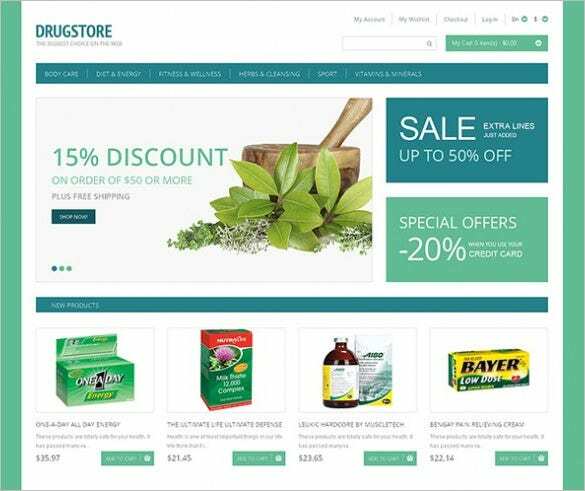 For content heavy website, Magento responsive themes for health niche come with mega menu structures with image icons to help users identify topics and categories of relevance quicker. 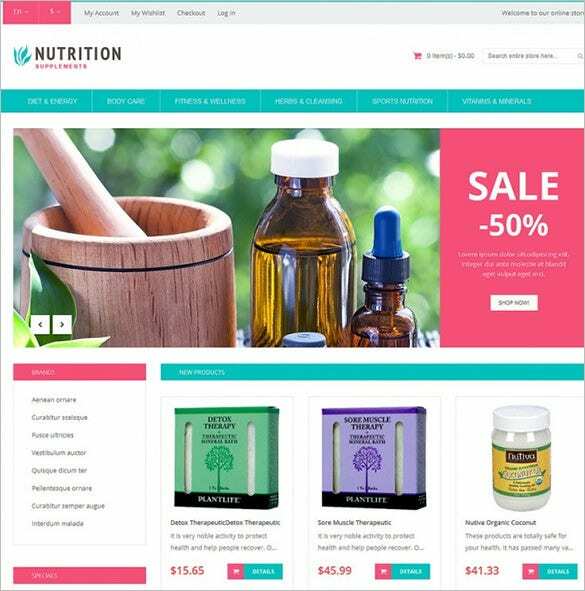 Not only do these new age health Magento themes use smartly designed artworks and colors to create the best somber impressions on the minds of viewers, but also include the features of the best Magento ecommerce templates.